The truth is it does not feel as odd as one might think. It was in fact far stranger feeling arriving in Hong Kong. Hong Kong shares many similarities with the UK and therefore it was almost like coming home before we actually arrived home. Also since arriving back we have both been very busy. In fact we have been so busy we have hardly had time to realise that we are slowly slipping back into the routine of normal everyday life! 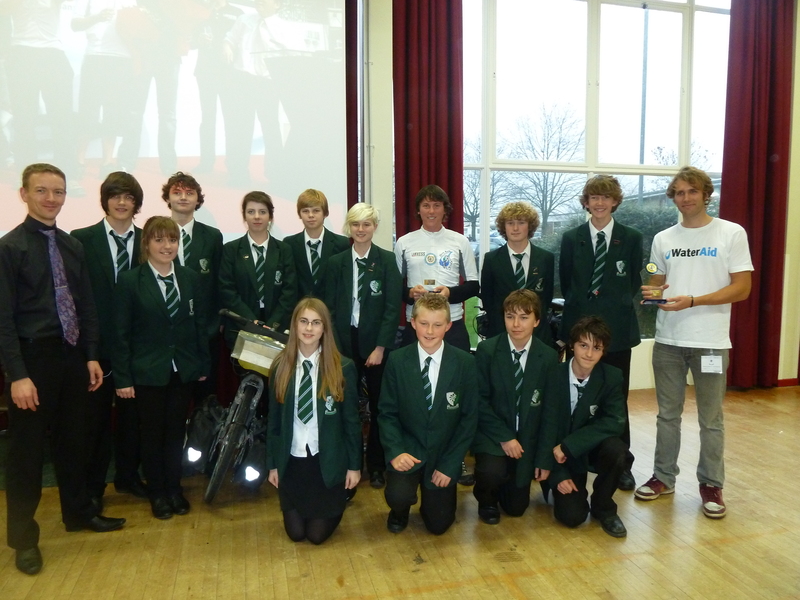 Last Tuesday (29 Nov) we were very touched to be given our very own trophies by the Pupils of the Wellsway School in Bristol. Furthermore they handed over a cheque of £1,100 for WaterAid that the students had managed to raise on our behalf. Very well done Wellsway! On Thursday we made our way to Newbury where our sponsors LANXESS had organised a very warm and welcoming homecoming event. 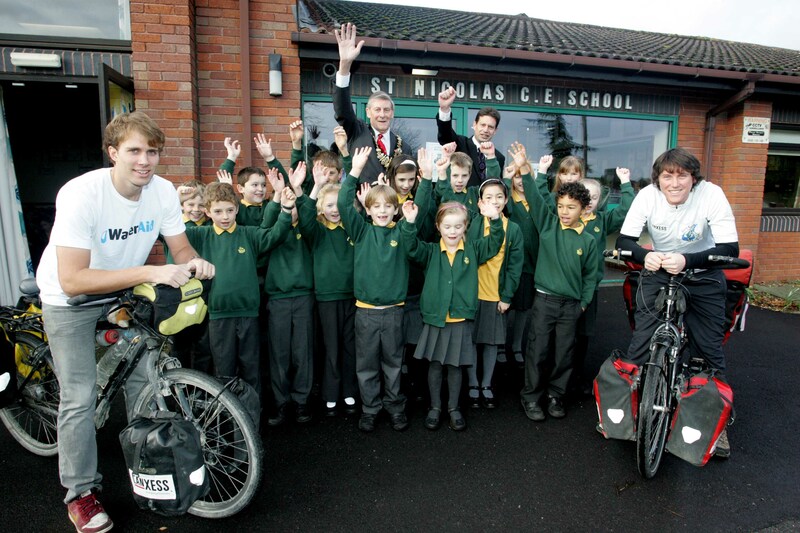 First we revisited the St Nicolas Junior School, the same school we visited the day of our departure. After a warm welcome from the school Principal, the Newbury Mayor and all the pupils we moved on to the Newbury Manor Hotel. Here, friends, family and many employees from the LANXESS Newbury office, joined us for a light lunch and to hear our presentation on the adventures! On Friday I (Micheil) headed off to my old school in Hertfordshire to give yet another talk on WaterAid, the trip and to encourage the pupils to partake in some fundraising. We have both now begun work in the jobs we had before we left, and although we have been back for only two weeks and working for only two days the trip is slowly becoming distant dream. A dream that we will remember for the rest of our lives! Thursday 17th November 2011 – Hong Kong Island, Hong Kong. After crossing the border to Hong Kong New Territories from China we were immediately struck by the old British colonial influence. Roads, signs, bowling greens and cricket clubs all gave us a taste of home. Arriving in Kowloon at night was crazy and attempting to navigate around the mass of skyscrapers involving some climbing and fence hoping to make our way to Kowloon. 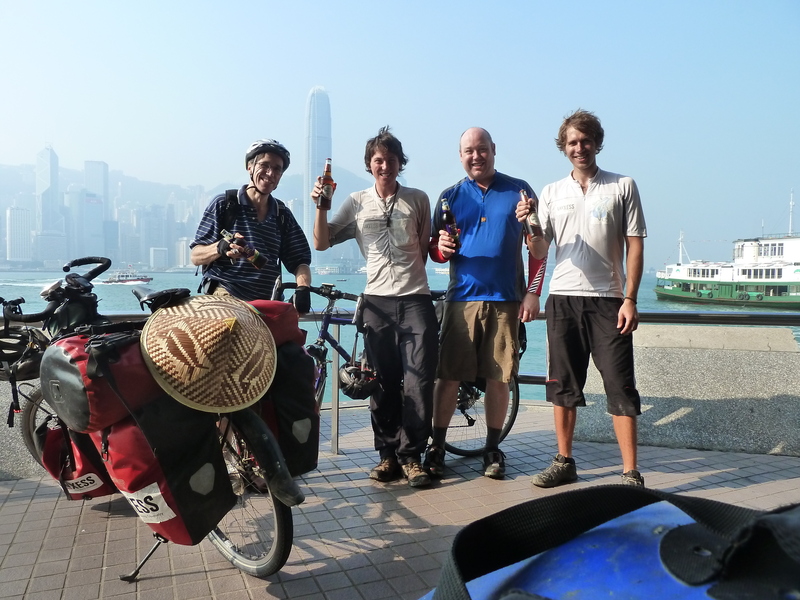 On the morning of Tuesday 15th November 2011 we met Martin and Nick from the Hong Kong Cycling Alliance who accompanied us to the finishing line at the Kowloon Cricket Club. LANXESS our main sponsors organised our finish line reception with a podium for short speeches, a warm welcome by employees and friends & family from the UK. WE DID IT! After 9,780 miles (15,740 kilometres) and 259 days on the road, we completed our nine month bicycle journey from the UK to Hong Kong. We have raised £18,520.43 on behalf of WaterAid to date. This will provide a permanent source of clean water, sanitation & hygiene education to over one thousand two hundred people. We are still raising funds and if you would like to make a donation go to www.justgiving.com/hongkongcycle . We would like to say a HUGE THANK YOU to all of our supporters and our principal sponsor LANXESS throughout our trip. 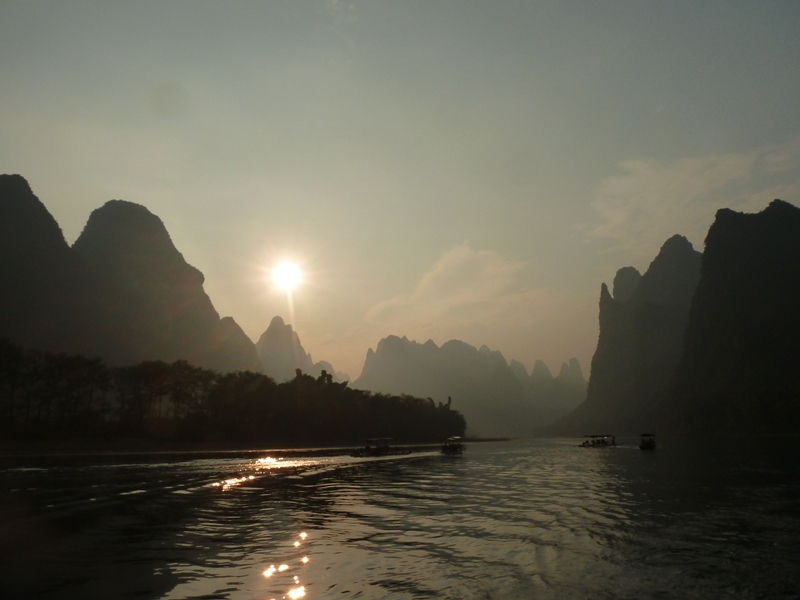 Tuesday 8th November 2011 – Yangshuo, Guangxi province, China. Only one more week to go before we sail across the finish line! LANXESS have kindly hired out the Kowloon Cricket Club for our arrival and for our final stretch, members of the Hong Kong Cycling Alliance will join us with their bikes. We are both feeling very excited but at the same time a little sad to know that our adventure will soon be over. China has been excellent fun and the last few days have been one of our highlights. 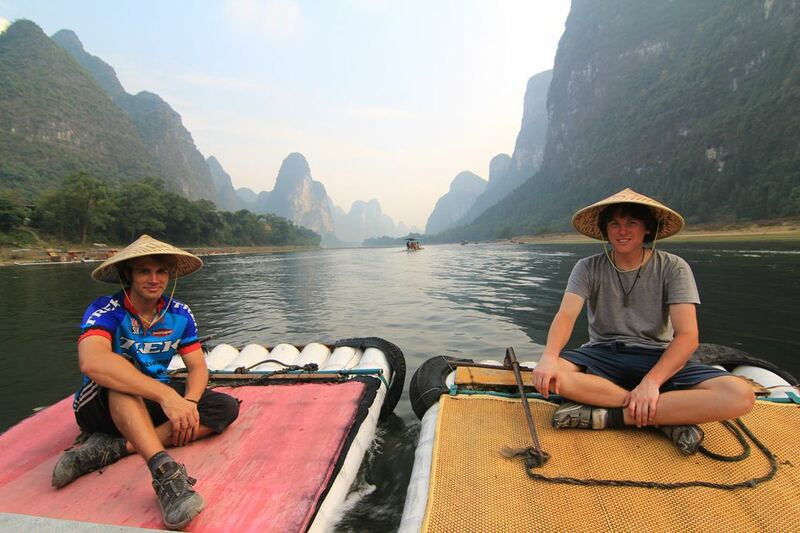 From the province capital of Guilin we cycled 50km to the Li River and took a small bamboo boat through arguably the most spectacular parts of the region. The area is marked by the Karst Formations of tall steep mountains rising up out of the flat valley. This has provided some of the most spectacular vistas we have seen on the trip. With the finish line in sight, we leave Yangshuo and this spectacular scenery today. There is only 630km to go and we will arrive in Shenzhen (the city next to Hong Kong) on 14th November ready to cross the border to Hong Kong early the following morning. Our next entry will be from the finish line! Monday 23rd October 2011 – Zunyi, Guizhou Province, China. We have left the mountains and entered the massive hills! We spent a few days in Chengdu visiting our new panda friends and waved goodbye to Siugi and Charles whom we had cycled with for nearly two whole months. It had been great cycling as a team, especially in the desert where we could all spur each other on. 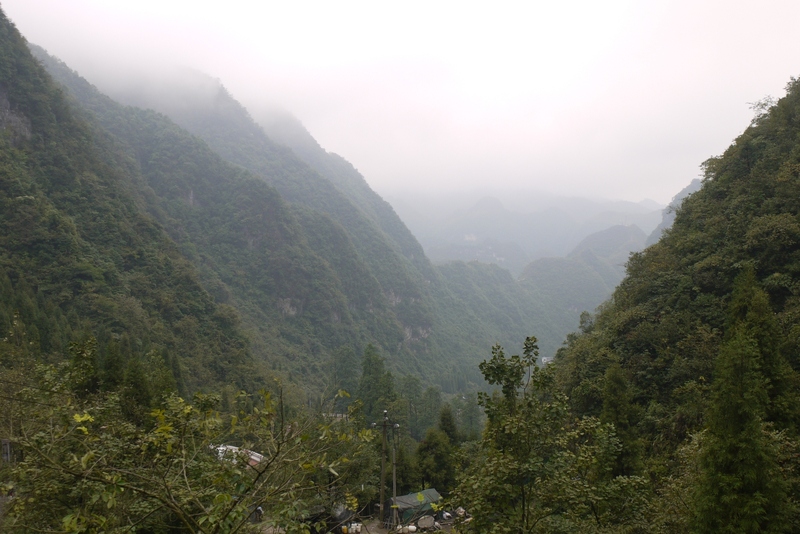 We have now begun the next leg of the journey to Guilin via the hilly temperate rainforest. The weird and wonderful never cease to amaze us; last week we even saw yak testicals (next to the tongues) hanging in a shop window – tasty! With now just over three weeks until our arrival in Hong Kong we both back to full health and are trying to pick up the pace so we can take a few days off near Guilin. Saturday 8th October 2011 – Songpan, Sichuan province, China. Yesterday morning we awoke to a thick layer of ice on our tents. It was the coldest night since France back in March and a terrible night’s sleep. The freezing temperatures were partially due to our camp site having an altitude of 3,756m. That morning we climbed a further 5km to 3,840m, our final pass before descending 3,300m to warm Chengdu. The recent bad weather and cold nights has taken its toll and we are both ill in bed in a small village called Songpan (350km from Chengdu). We hope to be back to health as soon as possible as time is now running out and there are many sights we intend to visit including the national park and UNESCO word heritage site of Jiuzhaigou very close to Songpan. Health permitting we will visit the park tomorrow and be back in the saddle the following day en route to Chengdu. The 350km to the city is all downhill so we hope to arrive next Wednesday for our next sightseeing stop, The Panda Sanctuary. Saturday 24th September – Xining, Qinghai Province, China. After cycling for another week across the Qinghai plateaux, we have arrived in Xining, a huge expanding city in the North of China. 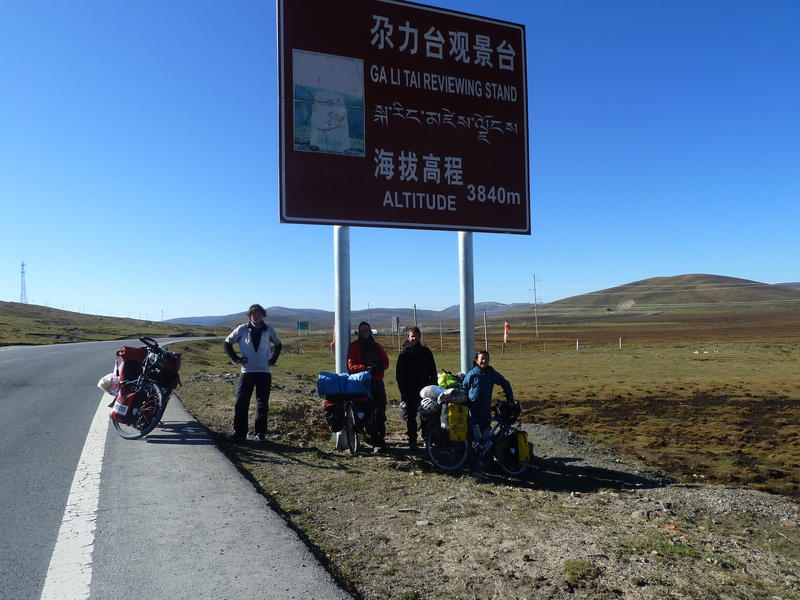 We crossed a number of passes over 3500metres and experienced many more Chinese delights. Chicken heads have landed on our plates, as well as copious amounts of chilli peppers! 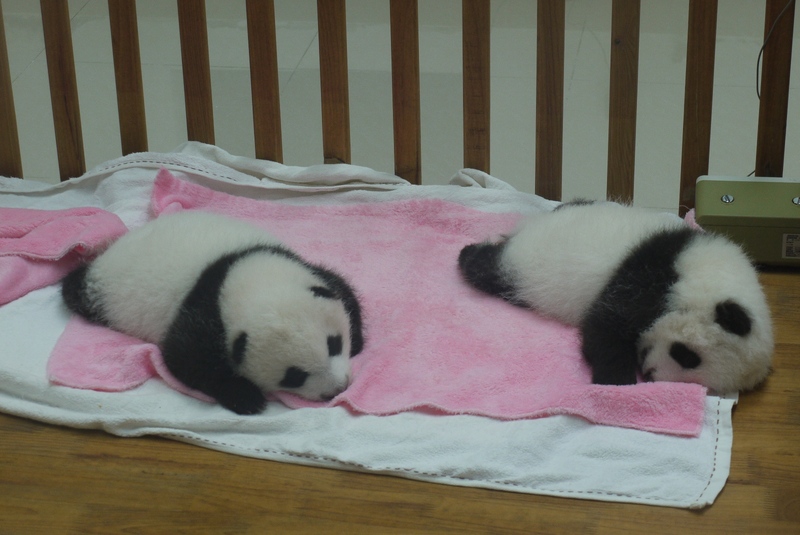 We are leaving tomorrow for Chengdu via the famous panda sanctuaries, where we should arrive mid-October. 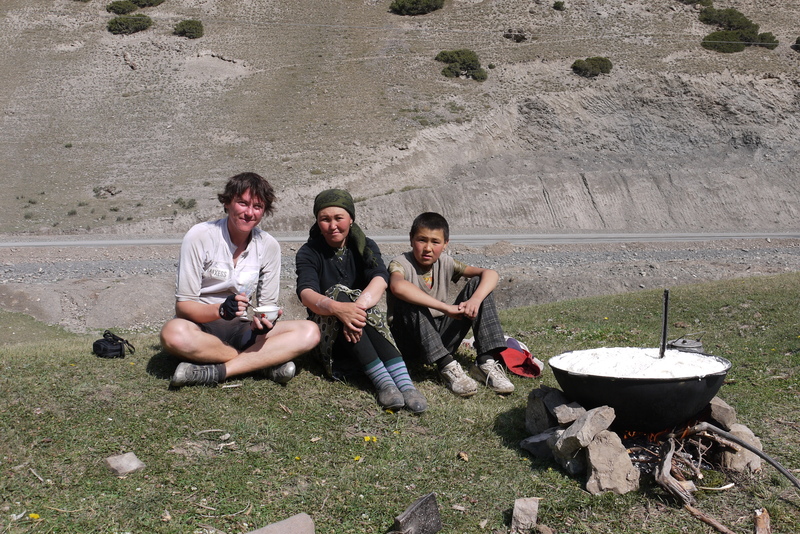 Saturday 10th September 2011 – Huatugou, Qinghai province, China. 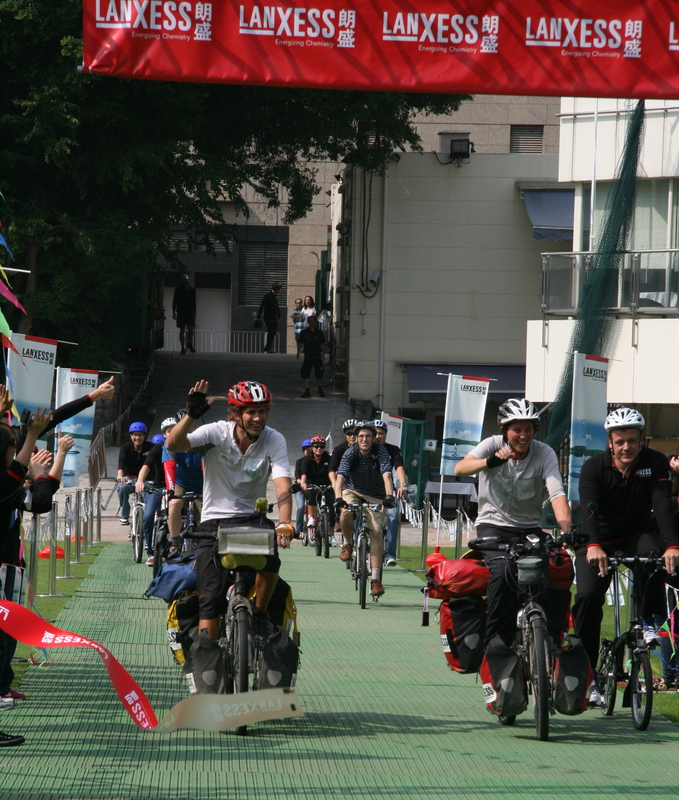 Hong Kong Cycle will be arriving in Hong Kong on 15th November at 11am in Victoria Park. Anyone in need of a pre-Christmas holiday, or has air miles knocking about, go ahead and book some flights, you will be most welcome to see our grand finale. China and the distance between here and the next city of Haixi (Delingha), is about 750km. This we intend to do in seven days provided we find food and water along the way! The desert was not as torturous as we had expected. We had a tail wind and cloud cover for the first part of the desert, and we planned it so we would never be camping more than one night. This meant that on occasions we cycled over 100 miles, but knowing we would have a hot meal and a bed made it worthwhile. Arriving in Xinjiang, China from Central Asia has been another eye opening contrast. The people, food, language, culture and history of all the Central Asian countries we visited all shared similarities with one another and although there are similarities between Xinjiang and Central Asia they are far less apparent. Arriving in Kashgar (our first Chinese city) as night was falling was something we shall never forget, there were wide open highways, tall tower blocks all lit up with neon flashing lights, electric mopeds weaving in and out of the traffic where ever we looked and a thick pollution smog that blocked out the sunset, and as night fell, the stars. Coming from Central Asia where a cluster of eight mud brick houses was something of a mega city, Kashgar was quite overwhelming. Xinjiang province is probably the least ‘Chinese’ of all the Chinese provinces and is populated with a large proportion of Uyghur people. The Uyghurs are of Turkish origin and associate themselves far more with Central Asia than with China. 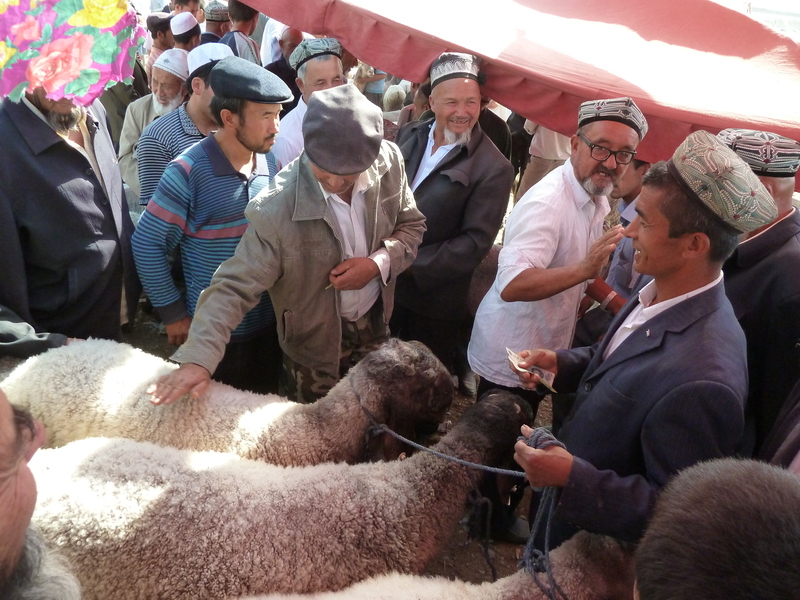 Most of the Uighurs’ practise Islam and their language is similar to the Central Asian languages. These differences in cultures (Uyghurs and Han Chinese) have been the source of recent violent conflict but we experienced nothing of this as a tourist. The Uyghurs keep themselves to themselves and the Han do likewise, they seldom interact with one another and with many Uyghurs not able to speak Mandarin this is not possible even if they desired so. Our route out of Kashgar took us more or less straight back into the Desert. Although the road we have been following and will follow for the next 2,000km skirts along the edge of the Taklimakan Desert it has been so far quite a challenge. The heat during our first day in the desert was so stifling that we had to seek shade under a road bridge for five hours until the temperature began to cool off. That day we drank around 8 litres of water each! 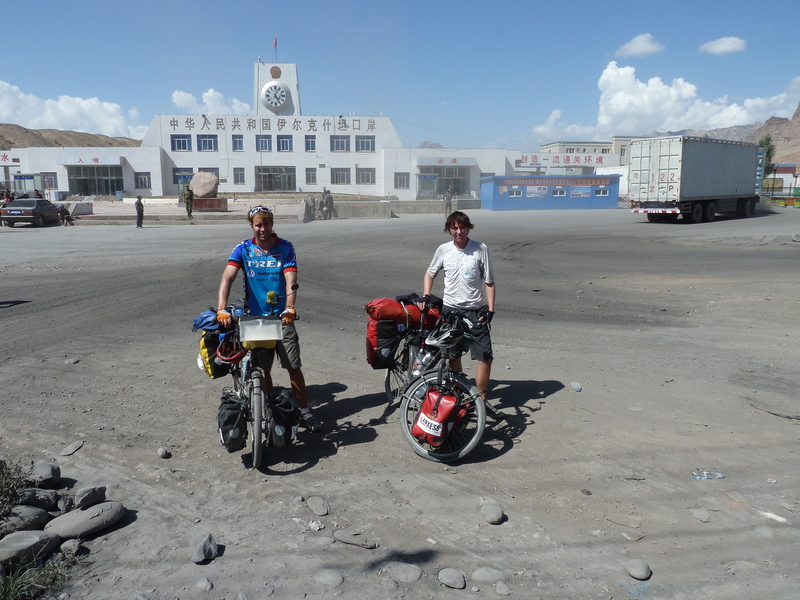 Our final days’ cycling before we arrived in Hotan was something to remember. It was about 9am when a sand storm blew in from behind us. The sky turned orange, the road became a river of swirling sand and dust and our visibility was reduced to metres. 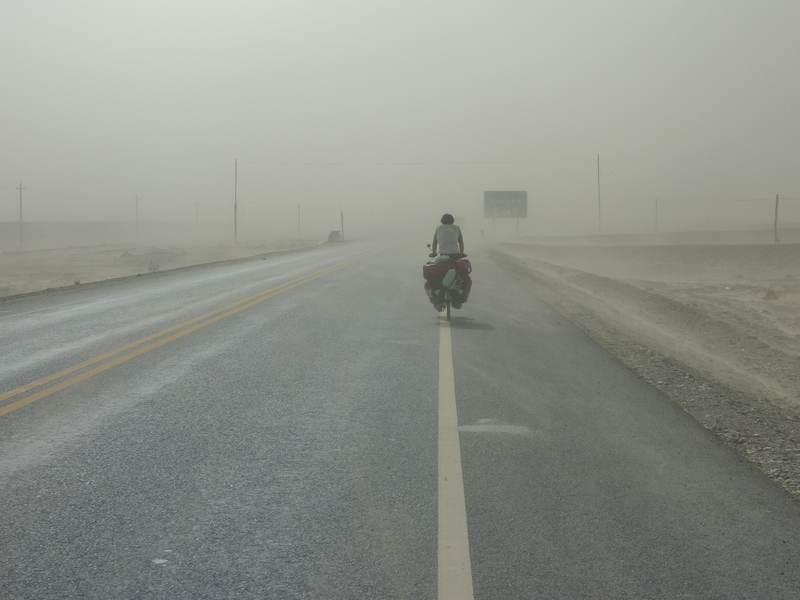 Thankfully the ferocious wind was blowing at us from behind and we managed to cycle 107 miles in one day arriving in Hotan a day ahead of schedule. We are now resting and preparing for the vast expanse of desert that lies ahead. 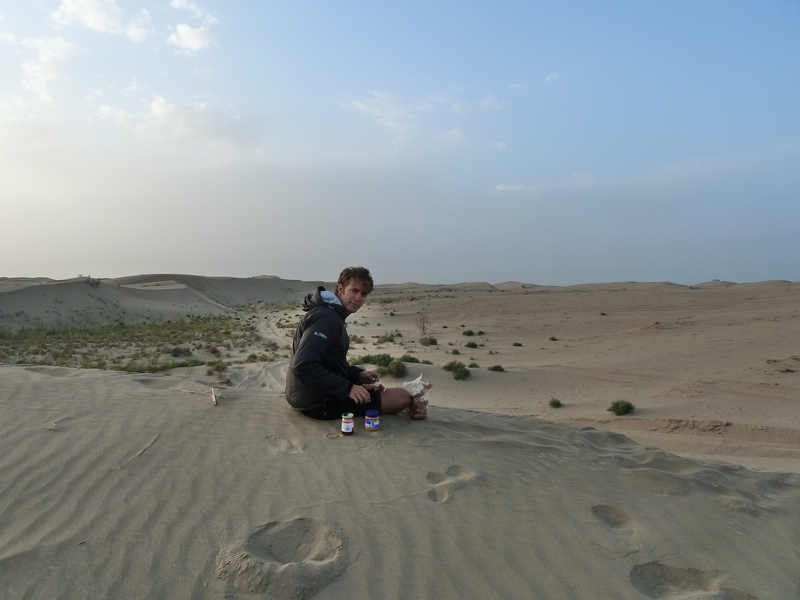 Hotan is the last city we will come to for around 2,500km and with stretches of desert exceeding 300km without any certain places to replenish supplies we need to be as prepared as we can be. 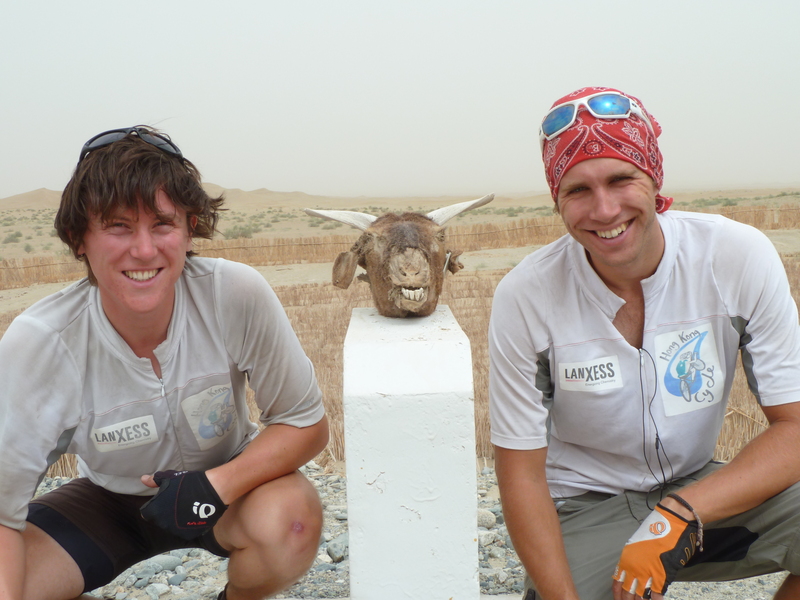 To make the next leg a little easier we have teamed up with a couple of French cyclists heading through the desert on the same route. This will help keep spirits up when times get tough and will add a new dimension to the trip. 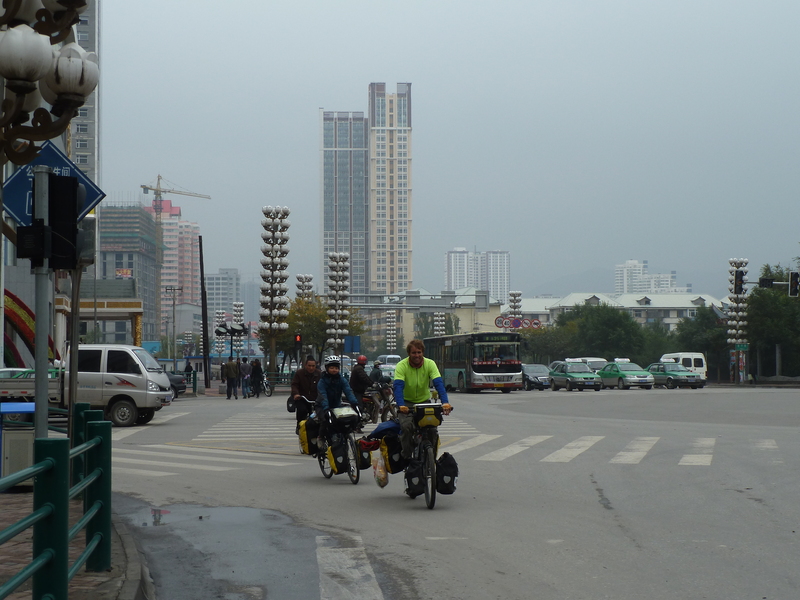 This is likely to be the last blog update for a month until we reach Xining. Since our last post we have successfully exited Uzbekistan without being fined for our days unregistered and arrived in Osh, Kyrgyzstan. Here we left our bikes and went off to explore the country for twelve days. Kyrgyzstan proved to be a very relaxed and friendly country and we felt much more comfortable here than we did in Uzbekistan, a perfect place carry out some light sightseeing and mountain trekking. Kyrgyzstan is renowned for its high peaks and with monsters reaching above 7000m for much of the country we were never short of an impressive view. After our break we returned to Osh to continue on to China. The 300km stretch of road that leads from Osh to the border crosses two high altitude passes, one at 3600m and the other at 3736m. Luckily for us the Chinese government fed up with the state of their trucks after passing through Kyrgyzstan, kindly agreed to rebuild the majority of this road and for the most part we were cycling on new asphalt. 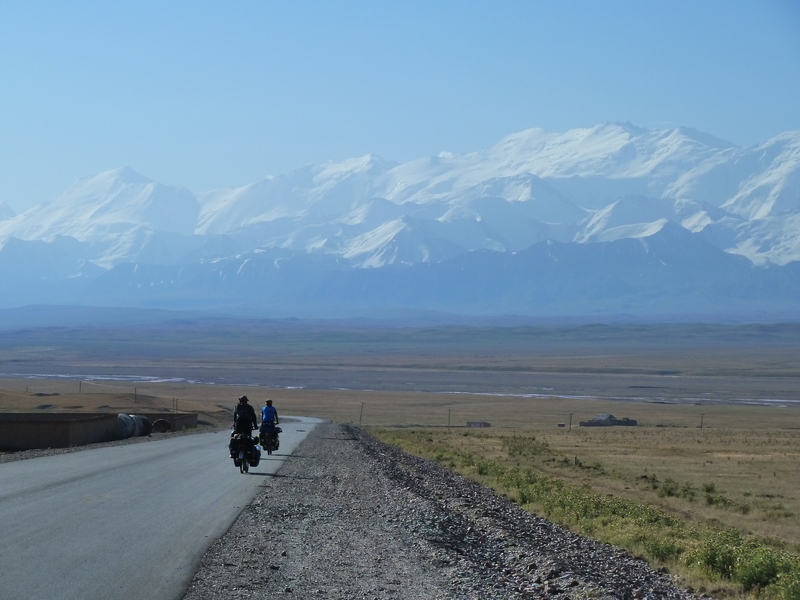 The ride from Osh to the Chinese border, although challenging turned out to be the most spectacular part of the trip so far. Following a mountain valley as it snaked up towards the passes, we saw yurt dwelling shepherds and their families living in harmony with their surroundings. Pausing outside one yurt we were invited in to see their home, colourful woollen weavings surrounded the walls while rugs lined the floor. A large skin bag in the corner held the milk which they fermented over a fire to make a creamy, yoghurt, cheesy thing. After politely sampling this traditional dish I was proudly presented with a brimmed bowl of the stuff! Our final day really topped off our stay in Kyrgyzstan. 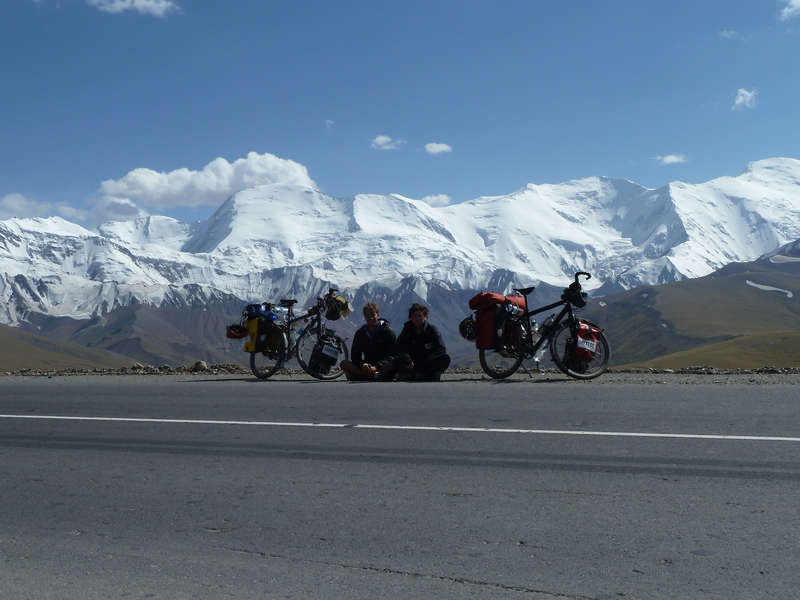 Cycling alongside the Pamir mountain range we could see a line of snow-capped peaks for as far as the eye could see until we reached the pass of 3736m. From the top we were almost reluctant to go down and leave this scenery behind. We are now in Kashgar, our first Chinese city and here we have been feasting on the many delicious dishes that the Chinese have to offer. The food in Central Asia was mostly terrible but here it is excellent, hopefully the start of things to come! Welcome to the UK to Hong Kong Cycle website! 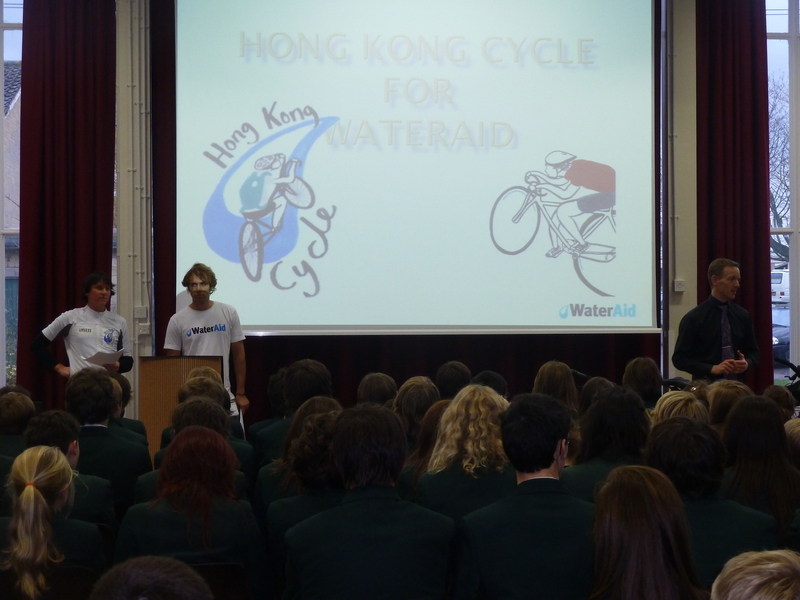 Here you will find information about our motives, aims, and objectives concerned with our 10,000 mile cycle trip to Hong Kong for the very worthy charity WaterAid. In addition, other useful information such as how to donate, details on how your money will be spent, and updates with both the fundraising effort and the journey, will all be posted here. After leaving the UK on the Newhaven to Dieppe ferry, the expedition will take its route through the following countries over the course of 10 months: France, Belgium, Germany, Austria, Slovakia, Hungary, Croatia, Serbia, Romania, Turkey, Iran, Turkmenistan, Uzbekistan, Kyrgyzstan, and China. Phew! It was in pursuit of our Environmental Science degrees that we had the idea to undertake a physical and mental challenge to raise money for a good cause, whilst increasing awareness of an important environmental issue at the same time. 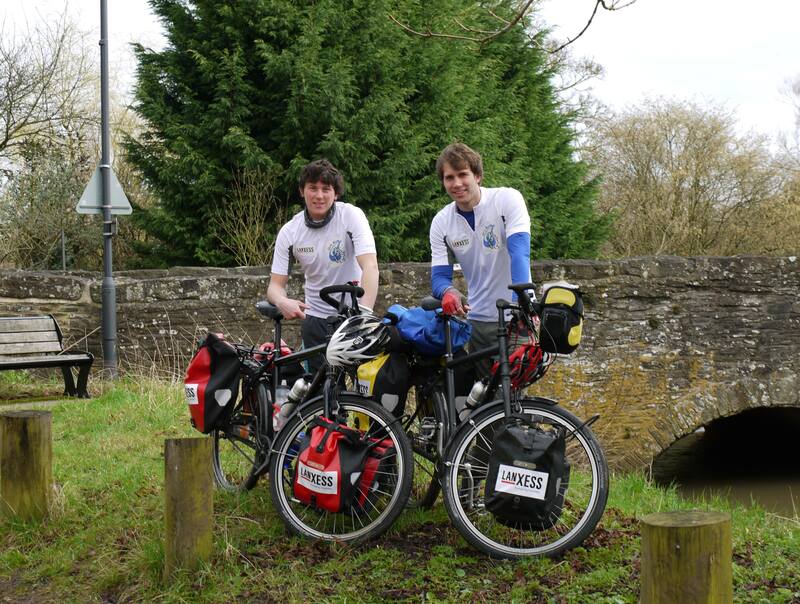 Of course, it goes without saying that we have always been very keen cyclists, in fact one of us- Jon- has already completed long distance bike rides for both charity and pleasure; Land’s End to John O’ Groats for the MS Society and New York to Seattle for pleasure. studies. 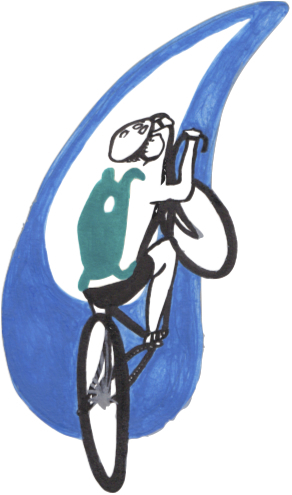 Therefore combining our passion for cycling, sustainability, and the environment, we have decided to support WaterAid. According to research, diarrhoeal diseases caused by poor sanitation and unsafe water kill more children than AIDS, malaria and measles combined. In Africa, diarrhoea is now the biggest killer of under-fives, which equates to some 4,000 children dying needlessly every day, around 3 children per minute. These deaths are due to the lack of proper sanitation facilities and safe drinking water. Where possible, WaterAid and its partners work with individuals and families in their communities, using a mixture of low-cost technologies to deliver lasting water, sanitation and hygiene solutions. There are 884 million people that still do not have access to safe drinking water in the 21st century and WaterAid are working hard to reduce this figure. Last year WaterAid reached 940,000 people with safe water and 1.24 million people with sanitation. Their current campaign ‘Dig Toilets, Not Graves’ is busy raising awareness of poor sanitation in countries throughout Africa, Asia, and the Pacific region. A donation of just £30 enables two people to access safe water, improved hygiene and sanitation. 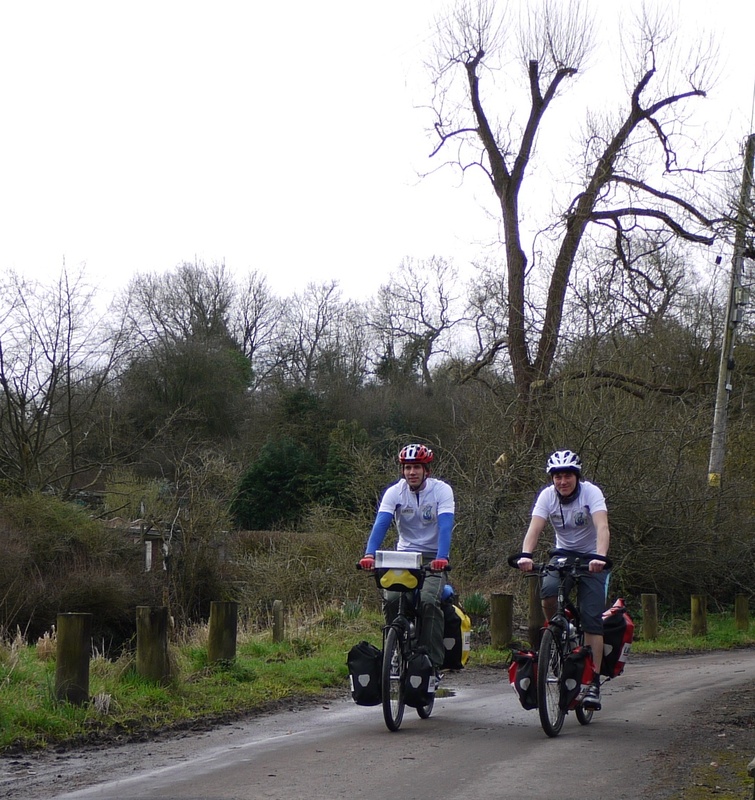 An ambitious journey needs an ambitious fundraising target, so we have decided to aim to raise £20,000. Please help us reach our target for WaterAid by donating whatever you can afford by visiting our JustGiving page here or to donate via personal cheque please email us. We are currently working hard to fund the trip ourselves (food and board, etc) so its important to note that 100% of the money donated will be going directly to charity, so please please PLEASE dig deep!